Mallya unhappy being accosted by the media. The 61-year-old chief of the collapsed Kingfisher Airlines Vijay Mallya is sought by a group of Indian banks for defaulting on loans worth over Rs. 9,000 crore. He has been living in self-imposed exile in Britain since March last year. Business tycoon Vijay Mallya, who appeared before a court in the UK had a bit of advice for the reporters waiting outside. “Keep dreaming about billions of pounds,” he shot back as he left the court. The chief of the defunct Kingfisher Airlines is wanted in India for defaulting on loans to the tune of over Rs 9,000 crore ($1.4 billion) and the UK courts will now hear India’s appeal to extradite him to face justice at home. “I am not going to answer any of your questions… I was heckled by two drunken cricket fans and you chose to highlight that. Many at the Oval wished me well,” added Mallya, who was booed by a section of India supporters as he went to watch the India-South Africa Champions Trophy match on Sunday. Mallya was arrested by the UK police in April following India’s request for extradition. Today, his lawyer Ben Watson told the Westminster Magistrates’ court that India is now preparing a second extradition request with further separate charges. While India has not yet finalised its evidence against him, the court will examine what has been submitted so far during the next hearing on July 6. The court has earmarked two weeks in December to hear the extradition case against him. Mallya has repeatedly dismissed the charges against him. “I have not eluded any court. I have no expectations, listen to what court says,” he said asserting there was “enough evidence” to prove his case. Once dubbed the “King of Good Times”, the liquor baron, who is the co-owner of Formula One team Force India, had been living in Britain since March last year as the banks started collaborating on the recovery of the loans. On May 9, he was found guilty of contempt by the Supreme Court, after he was found to have sent his children millions of dollars. The top court, which is expected to spell its sentence in the case on July 10, has asked the Union Home Ministry to “secure and ensure” Mallya’s presence in court. 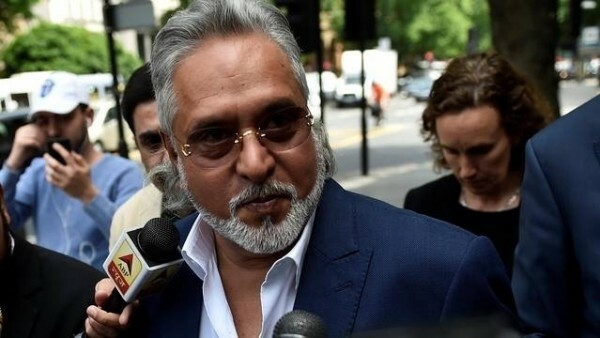 “I have nothing to say as the court proceedings are on and I deny all allegations that have been made and I will continue to deny them,” Mallya said before appearing in a London court. Mallya also said he had “enough evidence” to fight the case, but parried a question whether he fears that a trial in India would be unfair to him. Meanwhile, Union Minister of State for External Affairs General V.K. Singh has said that extradition was not a simple issue even as he assured that fugitive liquor baron Vijay Mallya would be brought back to India. He said the hearing on Mallya’s extradition process is on in Britain. “There is a treaty between the United Kingdom and India. The UK is examining documents submitted by us under the extradition treaty,” said Singh.